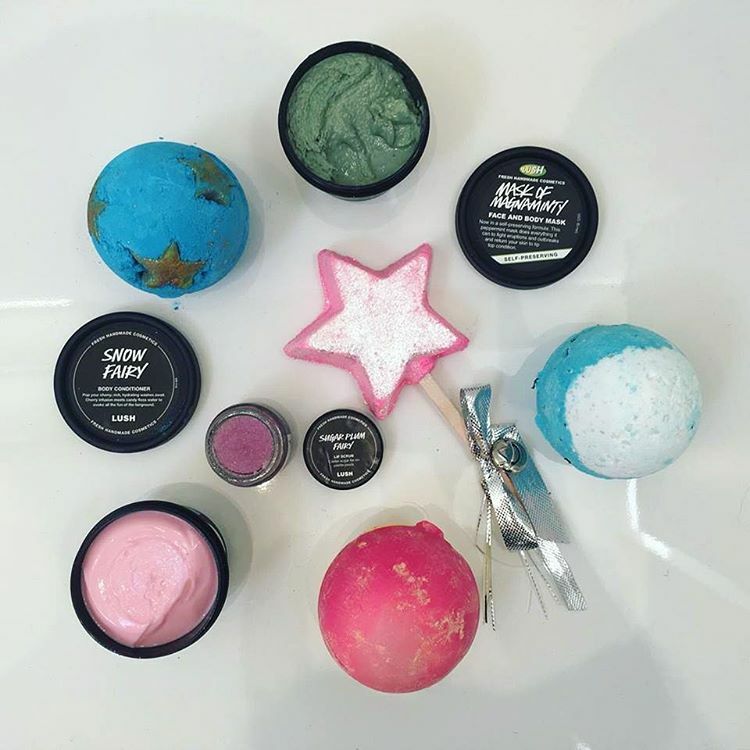 The one big plus of moving home is I have a bath again so I can splurge every once in a while on Lush goodies. I adore their collections purely because I’m one of those people allergic to a list of things & lets just say flare ups aren’t a risk I’m willing to take. Luckily their products are also divine so there’s no reason not to spoil myself now & again. I actually got a range of items for once & I decided to try a few new products. Of course my favourite face mask was on the list but it works wonders for my skin & as much as I’d happily try their others I have no faults with this option. 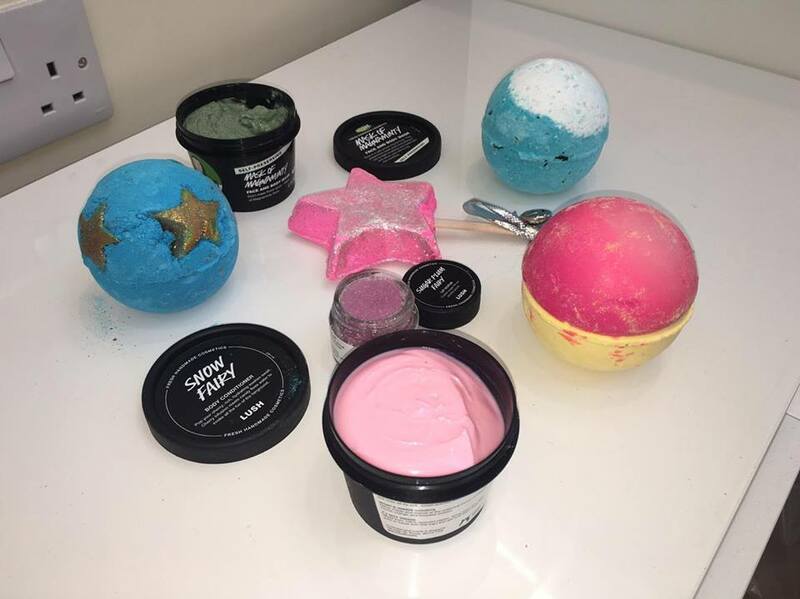 As for bath bombs I decided to try the new shoot for the stars option which was one of my absolute favourites in the past. I have to admit this isn’t as great. The colours is pretty but I definitely prefer the original design & ingredients. This one is a lot more creamier on the skin which is an added plus. I also grabbed my favourite permanent bomb which is the big blue. If you are a mermaid fan then you have to try this; not only is it the perfect blue lagoon colour it has seaweed. I know that sounds gross but it’s actually lovely because it softens really quickly & feels divine. I picked up the ballistics bomb because I needed to try something new for sure, it’s meant to be uber colourful and has coco butter in it so that can only be good. Finally for my baths I treated myself to a bubble wand which I haven’t been the most keen on in the past. They smell amazing and do add a slight scent to the bath but I haven’t noticed a great amount of bubbles or overall effect. However this did smell lovely so why not give it a whirl; plus they last more than one use so it’s worth the cost. As for the shower I’ve tried quite a few different types of lush products; I had one of their soaps & shower jellies which I really liked so I thought it was worth a shot to try the conditioner. It smells divine, candy floss is definitely one of those sweet smells I like. As it is a conditioner its not quite same effect as your usual body wash but it does leave you feeling silky & smelling great. I’d rather use it after a soapier product. Finally I picked up the new lip scrub which is wonderful. The product really does what it says & in this weather you need to keep refreshed. If you’re a fan of the snow fairy range that comes around every year then you need to try this product. Very excited to say Christmas is just around the corner; a welcome break from work & time to spend with my family. First English Christmas in two years!! I hope you’re all done with present shopping & ready to relax. Can’t wait to see all the happy social media posts!! Leave your links in the comments so I can check your pages out! !